How Austin is mixing historic preservation and visionary planning to create an ideal urban resting place. Think of urban cemeteries as the first public parks in America. They enticed city-dwellers into an idyllic country experience with rolling green hills, shady trees and stone benches designed for reflective thought. But it wasn’t a complete escape. A city’s character is echoed in the landscape of its cemeteries, from social hierarchies made visible in the burial of prominent citizens on higher ground to generations of graves segregated by the ethnicity of the deceased. As the meeting point between the living and the dead, cemeteries are peculiarly fraught ground. That makes them easy for cities to ignore. Crime, environmental problems, historic preservation, social class, religious traditions, and the thorny legacy of who is included in cities, and who is not, all come crashing together in urban cemeteries. It’s a toxic tangle of priorities that often contradict each other, and when the cemeteries are on public land, they are an endless drain on city budgets. If no descendants are around anymore to care, if eroded grave markers make it hard to even tell who is buried where, is there any harm in letting nature run its course? Down in central Texas, abandonment is not the solution. Austin may be one of the fastest-growing cities in the nation — 885,400 people and counting — but it’s still managing to include long-gone residents in its long-term vision. The city is creating its first-ever master plan for five municipal cemeteries, the oldest of which dates to the founding of Texas’ capital city in 1839. The proposed plan — a 542-page behemoth — debuted in January. It details a rehabilitative approach to historic cemeteries: protecting their character through repair of gravestones, relics, and plant life, expanding visitor services, and developing interpretive programming that, in effect, returns cemeteries to their origins as public parks. By creating reasons for Austinites to connect with the cemeteries — even if they don’t have a familial connection — the city intends to generate the interest and funding needed to properly restore the antique graves and drought-starved landscape. If successful, the project will have environmental, architectural and cultural benefits that could change the way the city relates not only to its past, but to its present. “I’m not sure anyone has done something of this scope before,” says Steph McDougal of McDoux Preservation, which is leading the plan’s public engagement process. “This is a monster.” A final plan will be released after a first public review of the draft ends on March 6th and a revised version is approved by city council. So far, city residents have voiced cautious optimism about the project. To many, it feels like the final step in a process of reclaiming cemetery ground as sacred. In a reversal of government trends, Austin took back control of its cemeteries in spring 2013, after nearly 25 years of outsourcing management to a private contractor. The city had heard complaints about the contracted caretaking for years and with its own eyes, it saw the consequences of bare-bones maintenance. Kim McKnight, the planner overseeing the project, swiftly developed a scope of work. A team of environmental and preservation experts led by landscape architect and principal investigator Laura Knott banded with the parks and recreation department to begin work in earnest last March. Very few cemetery master plans exist, McKnight says — Sacramento and New Braunfels, Texas, are the exceptions — leaving her team with “not a lot of precedent to go on.” If Austin’s master plan has the transformative impact that its team intends, its influence will likely extend beyond the borders of the city. “We’ve gotten phone calls from across the country from people who want to know about our planning process and what it is we’re hoping to get out of it,” McKnight says. The questions: What do cities owe to their dead? How should cities approach historic cemeteries in the 21st century, when citizens are more mobile than ever before? Fewer families remain near the land where their parents, grandparents and great-grandparents are buried. Cremation has become popular, with ashes scattered far beyond the local cemetery. More than a niche issue, this is a crucial point of public interest. Within limited urban real estate, historic cemeteries often hold ground in well-trafficked neighborhoods, making their management — or lack thereof — highly visible. As plots fill up, cities face questions of both public health and community relations. In the end, cemetery upkeep cuts at the heart of nearly everything cities hold dear: safety, sustainability, green space, community and economics. For better or worse, a city’s story is told in its cemeteries; they are where the past meets the present. Urban cemetery planning is a way for cities to pay respect to history, while preparing for the future. This is not easy work. But at the very edge of Hill Country, Austin is showing how it can be done. They called it City Cemetery. They picked out a breezy 10 acres on a hill in the northeast corner of town — high land that was closer to heaven — and it became the only public place for Austin’s early residents to bury their dead. It was 1839. Austin had just become the capital of the Republic of Texas. Residents of the sovereign nation — Texas wouldn’t become part of the United States for another six years — knew the significance of ritual. They built their graveyard with shiny white limestone markers to honor Texans who had crossed over. Heaps of fresh earth covered each grave; fresh grass, they felt, made graves appear overgrown, uncared for, disrespected. Evergreen trees, with their symbolic ever-lastingness, were planted all along the hillside. In folk cemetery style, graves weren’t lined in rows. They were placed wherever a space looked right. But infallibly, the feet pointed east, facing the brilliant red and orange of the rising morning sun. For Christians, looking east meant they were ready to be raised body and soul on Judgment Day. For Jewish people, it meant they were pointed toward Jerusalem. Today, City Cemetery is called Oakwood. Quadruple its original size, it now sits near the modern flash and bustle of downtown Austin — the University of Texas’ baseball stadium borders one side. But its Gothic limestone chapel and ethnically segregated graves reflect older times. These days, Oakwood is only one of five Austin cemeteries, together housing 60,000 graves over thousands of acres. 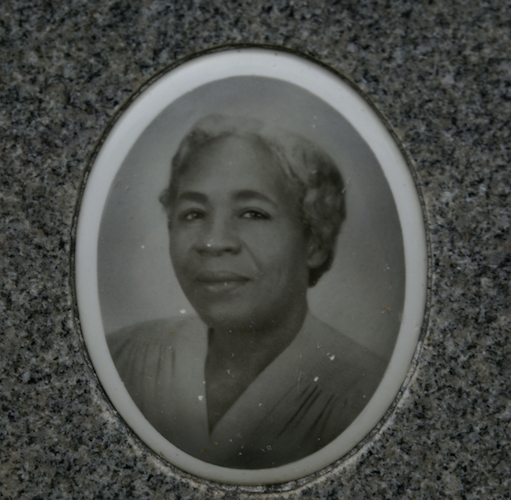 Icons of Texas history are buried here, including governors, legislators, artists, newspapermen and the woman who was the only Anglo survivor of the Alamo. Three cemeteries are essentially historic sites, with no active burials, while two see hundreds of burials each year. 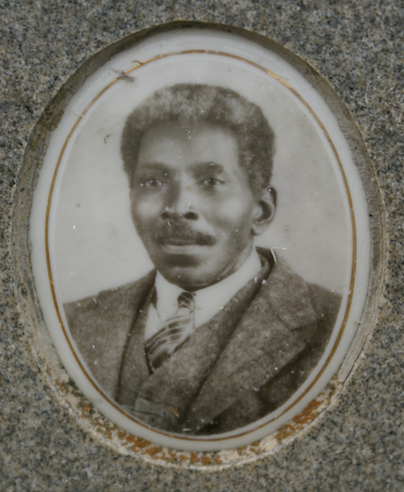 Evergreen Cemetery was developed when the city was actively enforcing institutional segregation, and it has a distinctive history in the African-American community. Plummers Cemetery is “a rural folk cemetery, really,” McKnight says, and its design is quite different from the others. Years of scarce care are evident. Historic fencing was stolen from Oakwood, leaving lines of bare iron posts behind. Brass and other metals were scrapped from graves. Shady post oaks died during the dry years, leaving the cemeteries riddled with stumps that stick up from the sandy loam like matchsticks. Grave markers are in disrepair — tilted, sunken, broken, illegible or missing. Shifting ground has destabilized mausoleums and left drainage canals splintered. Once-grand stone entry gates are marred by years of bangs and bashes from passing cars. Restrooms aren’t accessible, and there is no emergency preparedness plan for how to manage when massive storms or floods rush through, hinting at the possibility of a health crisis. “A cemetery plot is the only piece of property you sell once, but are expected to care for forever,” says Dale Flatt, an Austin firefighter who founded a preservation group, Save Austin’s Cemeteries, in 2004. Not all cities have municipal cemeteries — in some communities, it’s solely a private sector field — but the perils and possibilities of cemetery planning are not unique to Austin. Martha Lyon is a landscape architect in Northampton, Massachusetts, who specializes in cultural landscapes. She led design work on some of the nation’s oldest burial grounds, including Sleepy Hollow Cemetery in Concord and Grace Church Cemetery in Providence, Rhode Island. “If [a city] doesn’t have a historic landscape that the community really regards as historic, they always have cemeteries,” Lyon says. For better or worse, a city’s story is told in its cemeteries; they are where the past meets the present. Petty vandalism is blamed for the poor condition of urban cemeteries, Lyon says, but benign neglect is more often the culprit. One of the biggest challenges of urban cemeteries, especially if there are no longer active burials, is that people don’t even know they are there. Environmental health takes a hit as invasive species take root. Many old cemeteries are filled with enormous trees that are not cared for — never pruned of deadwood. One storm can lead to tree damage that in turn takes out hundreds of gravestones. Or, in the case of Austin, drought painfully depletes trees. The city spent $75,000 for a comprehensive tree census that detailed the location and condition of all trees in the cemeteries. Oakwood turned out to have 643 live trees and 550 stumps — a loss of 46 percent of total trees, not counting trees that left no remains. “Probably the number one issue I heard about from the community is the state of the trees,” McKnight says. Even those that remain show signs of stress and deficiency. Existing graves make it difficult to plant more trees: How do you manage trunk size and root systems in a mature cemetery? As a strategy, the city’s draft plan recommends prioritizing heritage trees, some of which are at least 250 years old, pre-dating the cemetery. Basic remedies are in order: soil testing, annual fertilization, working with arborists. 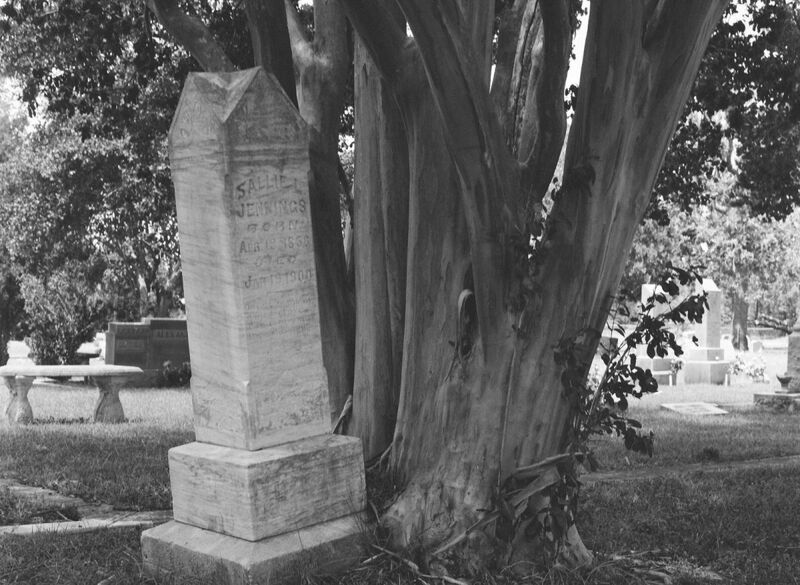 But also, when a choice must be made between a historic tree and grave markers — if, say, tree growth has dislodged a monument — planners suggest choosing the tree because “large shade trees … are irreplaceable in-kind within the current generation.” It suggests moving the monument, after first documenting its location. If the tree is eventually lost, the grave can be returned to its original place. Martha Lyon, the landscape architect, acknowledges that cash-strapped cities are not inclined to invest in cemetery landscaping. But upfront improvements pay off. Cities save on stormwater expenses, for example, if they invest in sustainable design, like transitioning cemetery roadways from asphalt into something more permeable, and if they pave fewer roads in the first place. Organic fertilizers and mulches reduce the chemical runoff that damages gravestones that then require expensive repair. Planting native grasses means less mowing, which translates into reduced groundskeeping bills. “The idea of cemeteries as being a lawn that’s manicured really didn’t come about until after the rise of the suburbs,” McDougal says. The notion spread to cemeteries in the 20th century, she explains, when a manicured lawn was something a homeowner had, and worked on. Before then, native grasses were all that was expected in cemeteries, and in the South, graves were left bare of grass completely. Three distinct phenomena came colliding together around the turn of the century. The Victorian era spawned a “cult of death,” an obsessive sentimentalization of mortality that prompted a trend of large ornate monuments and gravestones, as well as more elaborate funeral rituals. At the same time, the “City Beautiful” movement flourished. While overcrowded cities struggled with the rapid growth of immigrant populations, the new urban planning philosophy held that good design aesthetics — shady boulevards, splendid public parks — would inspire virtue in citizens (especially the poorer ones). And separately, the ritual of death became a professional industry. Undertakers, embalmers and cemetery superintendents were new civic roles, usurping the tradition of funerals, wakes and family plots at home. All together, it was enough to make Oakwood Cemetery a focal point in the growing city. Plots sold fast and were all spoken for by 1917, though interments continued for decades. Foreseeing a space crunch, Austin’s mayor in 1913 suggested the city bury paupers two to a grave. One on top of another. More efficient. He might as well have driven a knife into the heart of Austin, a city that saw itself as compassionate and highly civilized. “No!,” an outraged public declared. A local cemetery association hustled into action, offering to buy land to expand Oakwood and ensure that indigent people could be buried individually, with dignity. That’s just what happened. Rather than the generic “potter’s field,” they named this new acreage with Victorian flourish: “God’s Acre,” they called it. One hundred years later, Austin is again engaged in a debate about how its civic values will be reflected in its cemeteries. Outreach for the new master plan included five public meetings, at various times, days and locations. A dedicated website notes weekly project updates. A print newsletter features not only news about the plan, but also background on historic designation and related issues; these are placed in libraries and senior centers, and posted online. The team also used the city’s survey tool, Speak Up Austin!, to learn how people feel about programming and burial options. Planners interviewed dozens of stakeholders, and residents proved fearless in emailing and calling Knott, McKnight, and McDougal with their thoughts. Signage in the cemeteries reaches out to those who interact with the spaces directly. The team also facilitated a three-part memory workshop designed to draw out personal connections to the cemeteries, family traditions, and the connection between young people and heritage. It’s all part of a conversation that’s been happening for years. In 2011, Austinites began voicing concerns about safety hazards and substandard maintenance in local op-ed pages and to city hall. The conversation has even veered onto Reddit, where commenters shift between describing Oakwood as “a wonderful and historic cemetery” and lamenting how “it has been left in disrepair for so many years.” Others argue that cemeteries are “such a waste of valuable real estate.” One commenter even suggested that the government give tax breaks to people who plan to be cremated because it preserves land. With 120 people moving to fast-growing Austin each day, many residents have zero personal connection to these grounds that others regard as sacred. How do you engage newcomers while at the same time connecting with lifelong community members, who still visit loved ones in the cemeteries? The strategy, McDougal says, is to center the cemeteries as a cultural resource that, powered by the emotional ties of lifelong residents, provides newcomers with a sense of place in their new city. But it’s not just Austin that can benefit from a robust public education and planning program. Crime, environmental problems, historic preservation, social class, religious traditions, and the thorny legacy of who is included in cities, and who is not, all come crashing together in urban cemeteries. McDougal and Lyon both mention Mount Auburn Cemetery, in Cambridge, as a fantastic model for how graveyards can serve as cultural resources for communities. Activities in the privately managed cemetery take advantage of open space in a dense urban environment, while also creating a human presence that deters vandalism. Green-Wood Cemetery in Brooklyn, only one year older than Austin’s oldest graveyard, is another standard-bearer for a new generation of urban cemeteries. Spread over 478 acres, Green-Wood draws history buffs, bird-watchers, musicians and neighbors to its grounds. It hosts walking and trolley tours that tell the story of its prominent buried residents and its history as the site of a Revolutionary War battle. Green-Wood even publishes its own magazine, The Arch. Times change. Cities evolve. The context of an urban cemetery isn’t what it once was. Lyon has seen the edges of old cemeteries erode over time. A railway cut through a burial ground in Gloucester, Massachusetts. In Provincetown, the oldest graveyard was in the forested sand dunes, which over time, became situated between the bar scene and the beach. By the time Lyon got to work there, the cemetery had been trampled pretty well by revelers leaving the pubs at night. Down in Austin, noise levels and towering city structures cut through the country idyll at Oakwood Cemetery and the Oakwood Cemetery Annex. When the University of Texas baseball stadium is in use on game day, when nearby parking lots are choked with traffic, it is not as easy to slip into reverie. That’s why conscientious choices about reviving the natural landscape, especially trees, matters. That’s why sensitivity about the primary purpose of cemeteries — a place to mourn and remember — matters. But something else matters too. How do you pay for basic management and preservation in urban cemeteries, let alone programming flourishes? Money is a major block for cemeteries in need of restoration. Older cemeteries run out of space, which means they lose the revenue that comes from new burials. Lyon, the landscape architect, has seen in her client communities that wealthy people leave behind trust funds to cover the care of their grave sites, but over time, these dollars are swallowed by general funds, or pilfered for other community uses. “Hundreds of thousands of dollars can go missing,” she says. To create momentum, Lyon begins by assisting communities in finding creative ways to make space for new burials in old cemeteries — more thoughtful arrangements of graves, monuments, trees and roads. An added benefit is that living families become newly engaged with the cemetery, with an interest in looking out for its long-term health. Austin is exploring this option as it plans for its own future. In the 86-acre Austin Memorial Park, there are 18,500 burials, but about 30 acres are unplotted. McKnight wants to offer a new burial option: a columbarium, which is a wall where crematory remains are stored in small niches. It’s an efficient use of space and sales of the niches will generate needed revenue. It also acknowledges feedback from residents that indicates that cremation is increasingly popular. In Austin, the rate of cremations is likely to exceed 50 percent by 2017. Here, Green-Wood in Brooklyn is again a model. It is home to a multi-story columbarium, which offers both indoor and outdoor niches in a contemplative light-filled pavilion at about half the price of a traditional grave. The columbarium points to a distinctly urban alternative to the lawn cemetery model: verticality. In Austin, the draft plan suggests a vertical columbarium could incorporate a distinctive design that makes wayfinding easy — so the urns don’t seem lost on a shelf — and also demarcate space for a scatter garden to spread ashes, possibly in a wooded area. Whether Austin chooses to bury its dead in a columbarium reaching skyward or keep them closer to the ground, the living will have to share the costs. Adopt-a-plot programs are one strategy, but more support will be needed. In 2012, voters agreed to support cemeteries with a $2 million bond for capital improvements. That helped support renovations to the chapel in Oakwood Cemetery. But there are many more costs. The master plan itself cost $130,000. 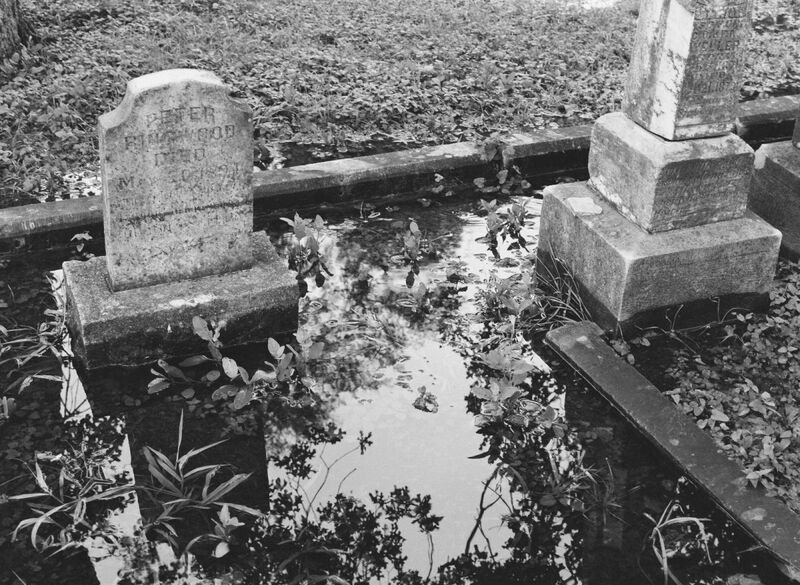 Even before the plan is final, planners know a sizable amount of money must be spent to rehabilitate the concrete drainage channels that prevent flooding in the cemeteries. If their wobbling walls collapse, graves could be washed out. Caretaking of historic cemeteries is important for its own sake, but it is also an elegant way to invest in public parks and public health, to enhance tourism and quality of life, to make cities more sustainable and to knit together a disparate citizenship — all at once. Turning the mundane into transformational change, after all, is the secret of visionaries. Alex Lukas was born in Boston in 1981 and raised in nearby Cambridge. With a wide range of artistic influences, Lukas creates both highly detailed drawings and intricate Xeroxed ‘zines. His drawings have been exhibited in New York, Boston, Philadelphia, Los Angeles, San Francisco, London, Stockholm and Copenhagen as well as in the pages of Megawords, Swindle Quarterly, Proximity Magazine, The San Francisco Chronicle, The Village Voice, Philadelphia Weekly, Dwell, Juxtapoz, The Boston Globe, The Boston Phoenix, Art New England and The New York Times Book Review. Lukas’ imprint, Cantab Publishing, has released over 35 small books and ‘zines since its inception in 2001. He has lectured at The Maryland Institute College of Art, The University of Kansas and The Rhode Island School of Design. Lukas recently partnered with the The Borowsky Center at The University of the Arts in Philadelphia to produce an eight-color offset lithograph as part of the 2011 Philagrafika Invitational Portfolio. His work was also recently acquired by the West Collection as part of the 2011 West Prize. Steven Zevitas Gallery presented an exhibition of new works on paper this spring. Lukas is a graduate of the Rhode Island School of Design and now lives and works in Philadelphia.